Aelia lives in 6th century Byzantium. She is sixteen years old and her life is about to change forever. She doesn't yet know it, but she holds the fate of thousands in her hands and her actions will echo across the centuries. Fourteen hundred years later the lives of Madison and Alexandre are once again plunged into danger. To save Madison, Alexandre is forced back to a world he thought was dead and buried. But time is running out. The chase is on... 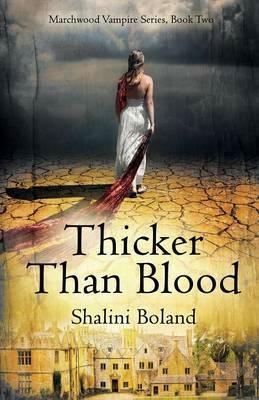 Chilling and fast-paced, Thicker Than Blood is the supernatural sequel to Hidden. It combines passion and drama with a historical twist.